Become a part of history and celebrate the discovery of San Diego during the 47th annual Cabrillo Festival, Sep. 25 – 26. Enjoy cultural festivities, educational activities, music, food, dancing and a reenactment of the landing by explorer Juan Rodriguez Cabrillo on the shores of San Diego Bay in 1542. Cheer on professional rodeo cowboys from around the country as they compete in the 37th Annual Poway Coors Rodeo, Sep. 24 – 25. Competitions include everything from barrel racing to “mutton bustin;” there will also be a Rodeo Dance and live musical entertainment following the days activities. Take part in the 16th Annual Pacific Islander Festival, Sep. 25 – 26, a free event that showcases the cultures and customs of Melanesia, Micronesia and Polynesia with continuous entertainment throughout the day. Held at Mission Bay’s Ski Beach, the event also features food, music and specialty crafts unique to each culture. Southern California’s largest free two-day musical festival, the 29th Annual Adams Avenue Street Fair returns to Normal Heights on Sep. 25 – 26 with beer gardens, six stages and more than 70 musical acts. Performing rock, country, folk, TexMex and more, the fair offers something for everyone; it also features arts and crafts, carnival rides, food vendor booths and street performances. Jean Isaacs San Diego Dance Theater and the San Diego Metropolitan Transit System present the 12th Annual Trolley Dances, Sep. 25 – 26. If you’re riding the San Diego Trolley, you’ll be treated to site-specific choreographed dance performances on and off the trolley at unexpected locations. Dances will be performed on the fly, taking inspiration from the surroundings and energy at each stop. This year, dances will be performed en route in downtown San Diego from One American Plaza to the Hilton Bayfront hotel. 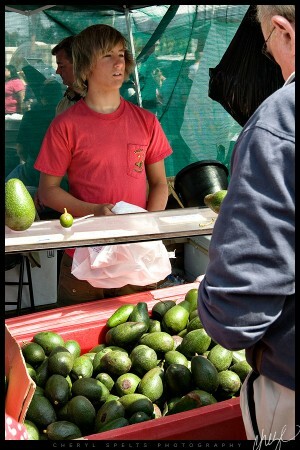 Did you know that the city of Fallbrook in San Diego’s North County is dubbed THE avocado capital of the world? Yup, it surely is and the city is celebrating their title this Sunday with the 24th Annual Fallbrook Avocado Festival from 9 a.m. to 5 p.m. along Main Avenue in downtown Fallbrook. Highlights of this FREE event will include 300 vendor booths, food, beer gardens, live music, a Guacamole Contest, activities for children and tons of avocados! Please note, pets will not be permitted in the festival area but there will be a “Park your Pet” waiting area. Coronado presents the 85th annual Coronado Flower Show this Saturday and Sunday at Spreckels Park on Orange Avenue. 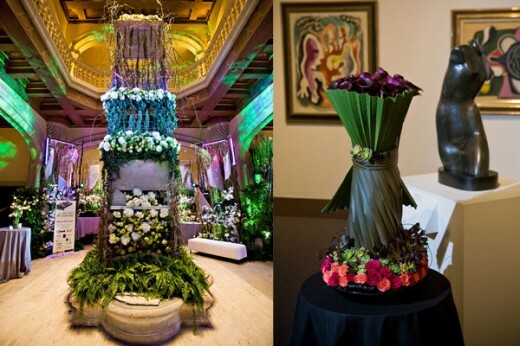 This is one of the largest flower shows on the West Coast and guests can view beautiful floral displays while enjoying flower sales, live entertainment, food and drinks and a trophy ceremony. The event goes from 1 – 5 p.m. on Saturday and 10 a.m. – 4 p.m. on Sunday; admission is $3 for adults, kids 12 and under get in free. Lux Art Institute in Encinitas is hosting a Free Saturday event from 11 a.m. – 3 p.m. where you can stop by for studio tours, live music , refreshments, and a hands-on art project for all ages. The Institute’s current artist-in-residence, Robert Lobe, will also be there so you can meet him and view his sculpture-in-progress.